How Many Years of Back Tax Returns Can You Request in Discovery In a Divorce In California? Many issues in a divorce case turn on the respective financial positions of the spouses. You increase your chances for an equitable divorce decree, if you verify the accuracy of the information your spouse gives you, by comparing it to his tax returns. You can ask for back tax returns, as long as the information is relevant to the questions presented in the divorce. One way a party in a lawsuit in California is able to verify information is called Request for Document Production, which is a formal request for the opposing party to produce specified paperwork. A request for tax returns allows you to compare what your spouse is telling you with what he told Uncle Sam. California statutes permit discovery of any non-privileged matter that is relevant to the legal action. You should limit your request for tax returns to the years relevant to your divorce, which depends on the length of your marriage and the financial issues in the divorce. California divorce law mandates that divorcing spouses need to exchange certain financial information. This procedure is termed disclosure. 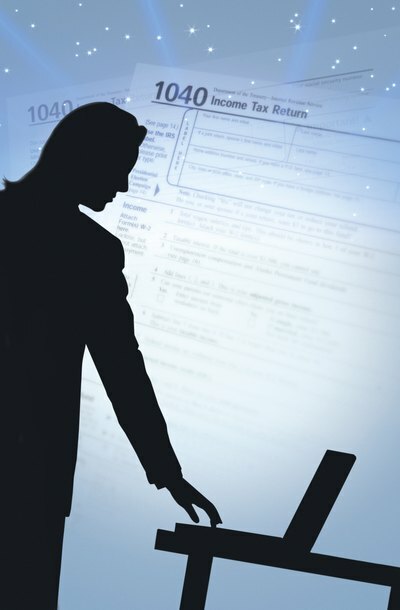 The information that must be exchanged includes the two years of tax returns before separation. You must submit a discovery request to your spouse to receive any older tax returns. A marital settlement agreement, or MSA, allows two parties who are divorcing to craft a mutually beneficial contract to end their marriage. Courts in California and elsewhere favor settlement over litigation for a number of important reasons. Litigation can be emotionally draining, time-consuming and expensive. Settlements empower the parties to work out the terms of their divorce, instead of being bound by the decision of the court. For example, the community property statutes in California favor a 50-50 split of marital assets, but an MSA can alter that formula if the parties want a different division. In an effort to increase the number of divorces resolved before trial, states have implemented Early Resolution Conferences or ERCs. In an ERC, parties to a divorce meet with either a panel of attorneys, judge or court official to present their side of a divorce case in an effort to reach a settlement before trial. They are also called settlement conferences or pretrial conferences. Each state has its own set of procedures and rules that cover timing of providing documents, length of the conference, and what can be presented. How Long Does a Complicated Divorce Take?